Over a hundred years has passed since ‘Our Lady Queen of Peace’ chose Fatima, a little hamlet in Portugal, to bring the message of love to the world divided in 1917 by the horrors of the First World War. On the 13th May 1917 Our Lady appeared to three little shepherds while they were watching over their flocks at a place called Cova da Iria in the rocky unproductive area of central Portugal, now known the world over as Fatima. The Lady from heaven asked the children to return six times at the same hour on the 13th of every month, May to October. The three children, Lucia de Jesus (10), her cousins Francisco Marto (8) and his sister Jacinta Marto (7) had already been prepared for the arrival of Our Lady by the visit of an Angel during the Spring, Summer and Autumn of 1916. 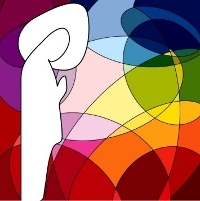 The Angel of Peace (or Angel of Portugal), as the Angel is now called, gave an urgent request for continued prayer and this was later re-enforced by Our Lady’s insistence for greater devotion to the Rosary. ‘Our Lady of the Rosary’ subsequently made it known to the children that she wanted a chapel to be built there in her honour. She also told them that the First World War would soon end and that Our Blessed Lord was outraged and offended by the behaviour of mankind. She stressed the importance of praying the Rosary every day and for penance in reparation for the sins committed by man. Many pilgrims from all over the world, sometimes up to one million at a time, make the pilgrimage to Fatima on the 12th and 13th of the months of May to October to pray to Our Lady of Fatima. During the centenary celebrations Pope Francis, on the 13th May, gave the Portuguese people two new young Saints in Francisco and Jacinta. In the history of the Catholic Church, Francisco and Jacinta are the first child Saints who are not Martyrs. We offer pilgrimages to Fatima for May, June, and October, by air, for 4 nights and in September for 6 nights. The flights for the pilgrimages detailed below all depart from LONDON HEATHROW but we can sometimes arrange flights from Manchester provided the timings are similar to the London flights. We can also arrange pilgrimages for groups of 20+ pilgrims on any date to suit your requirements, so do please contact us for details. 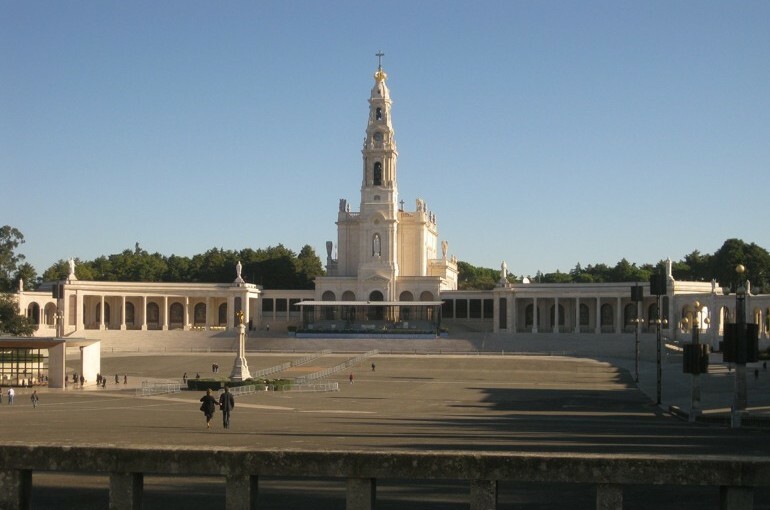 The hotels we use in Fatima are located a short walk from the Sanctuary. Concelebrated Mass at the Chapel of Apparitions with participation in the ceremonies, including (on 12th & 13th of months of May to October) the International Rosary and vigil Mass at the outside altar and the torchlight procession of Our Lady of Fatima. Mass and the Adieu to Our Lady of Fatima with the waving of white handkerchiefs (a tradition at the closing Mass on the 13th of the Feast day ceremonies). Visit to Vanihos (place of the August apparition) and Cabeco (place of the Angel) and then to the small village of Aljustrel for a visit to the homes of the three children. If time permits, we will also visit the Fatima parish church. There will be plenty of time for personal devotions throughout the pilgrimage. Centrally positioned in the heart of Fátima, the Católica Hotel is only a 3-minute walk from the Shrine of Our Lady of Fátima. It has a restaurant serving traditional Portuguese cuisine. All rooms are neatly decorated, furnished in modern style and each has an ensuite bathroom with hairdryer. For added comfort, rooms are equipped with air conditioning and satellite TV. A newly refurbished hotel near the centre of town. The bedrooms are very spacious, comfortable and all have private facilities. The hotel has air-conditioning throughout and has an excellent restaurant serving traditional Portuguese and continental dishes. It also has its own Chapel and Stations of the Cross which are available for guests to use. Transfer time from Lisbon to Fatima is approximately 1hr 30mins. Our hotels are a 5 minute walk from the Sanctuary. Wheelchairs can get priority access for the celebrations but need to be booked whilst in Fatima and this can take two hours or more to arrange. Main routes in Fatima are good but some side streets are quite uneven and not ideal for wheelchairs. We have a small number of wheelchairs available but we DO NOT supply pushers. Weather May - October is warm but take a hat and an umbrella!